Visual arts programs at Sarah Lawrence College had long outgrown their original home and spilled into additional makeshift spaces around campus. 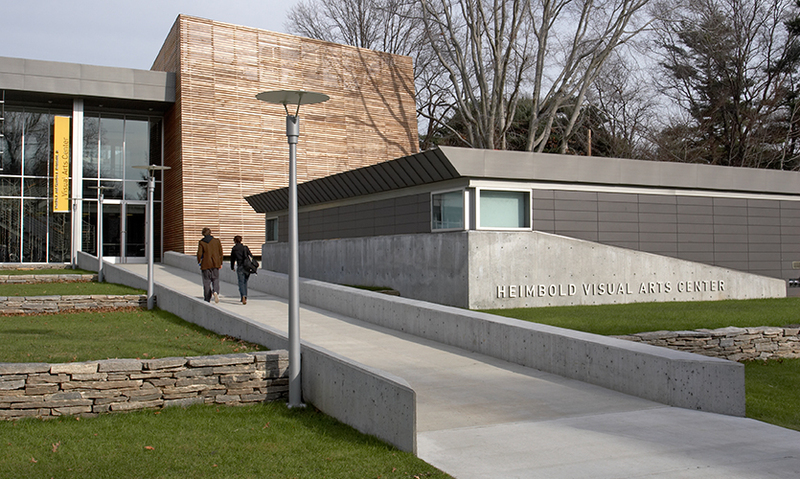 Now they're back under one roof in the new 60,000-sq.-ft. Monika A. and Charles A. Heimbold Visual Arts Center. The college wanted the new building to integrate seamlessly with the landscape and with its older neighbors on campus, so Polshek Partnership Architects designed it in sync with the topography and surrounding structures. 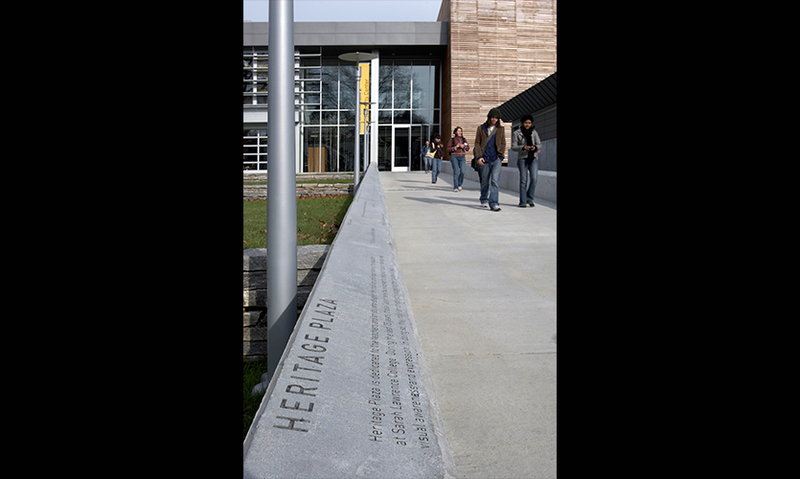 Its design encourages students and faculty to use the building as a passageway through the campus. Skylights and open spaces create a sense of transparency and allow natural light to permeate the building and provide a view of artists at work. 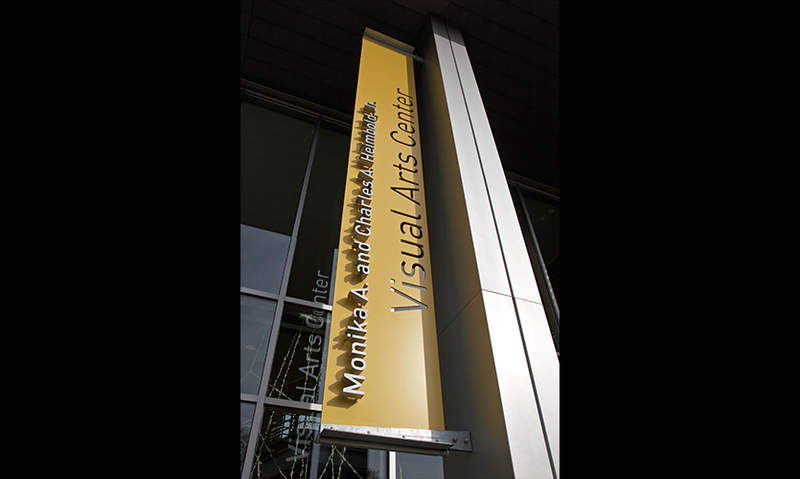 Poulin + Morris programmed, designed, documented, and supervised the implementation of a comprehensive environmental graphics and wayfinding program for the center. 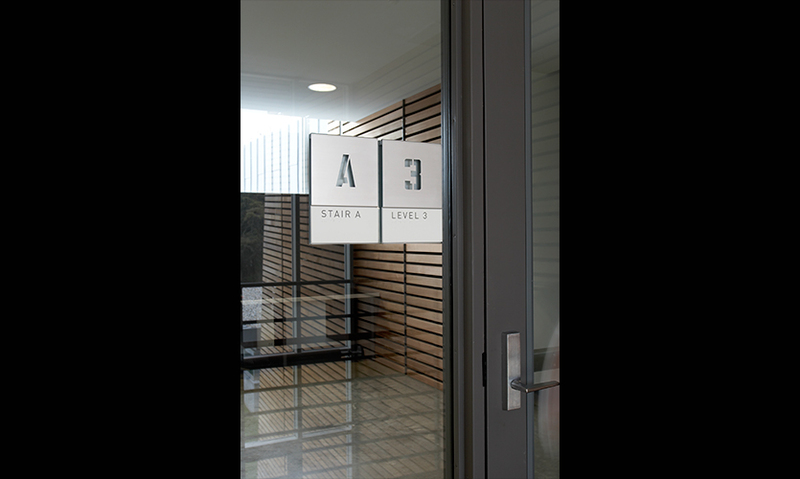 The team designed signs with the same simplicity and transparency evident in the architects' work, and created a materials palette to complement the architectural vocabulary of steel and wood, glass and stone. The team combined applied stainless steel letters and vertical stainless steel panels with cut-out type, creating continuity in the use of negative and positive forms. 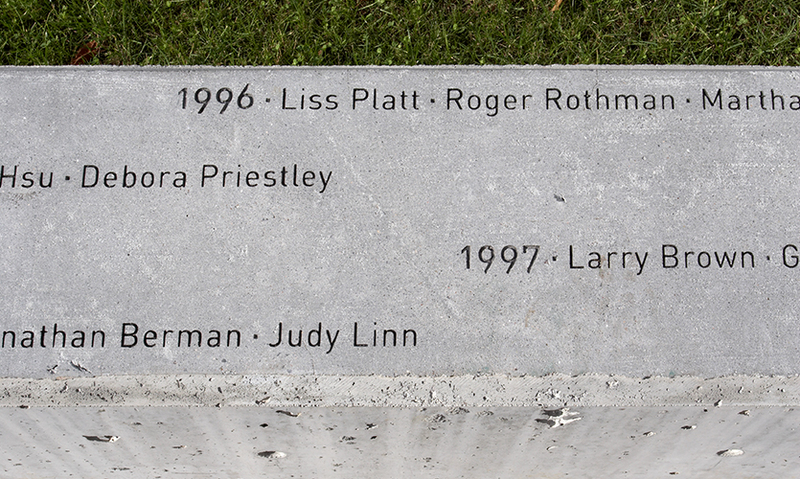 A 200-ft.-long stone wall features the sandblasted names of faculty members who have made significant contributions to the college and the visual arts community. 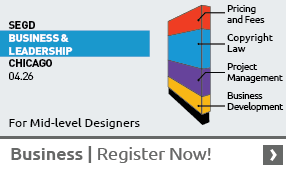 "This is a simple, elegant building signage program. 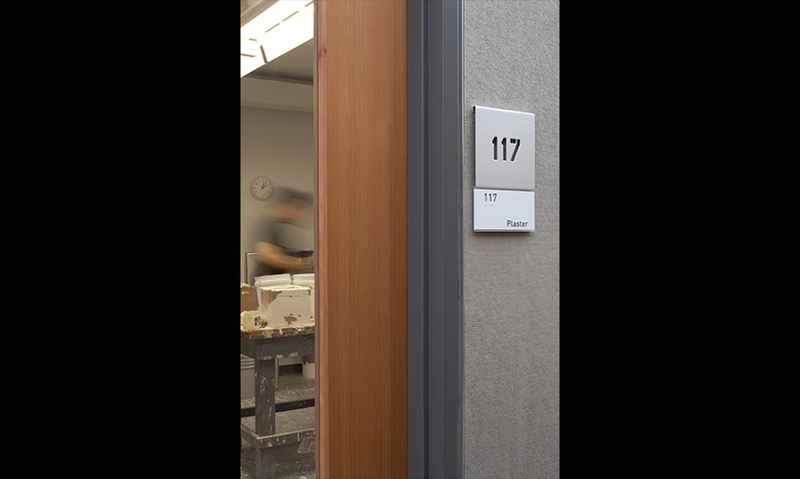 From type treatments, materials and finish choices to colors and layouts, the system is a perfect complement to the building. 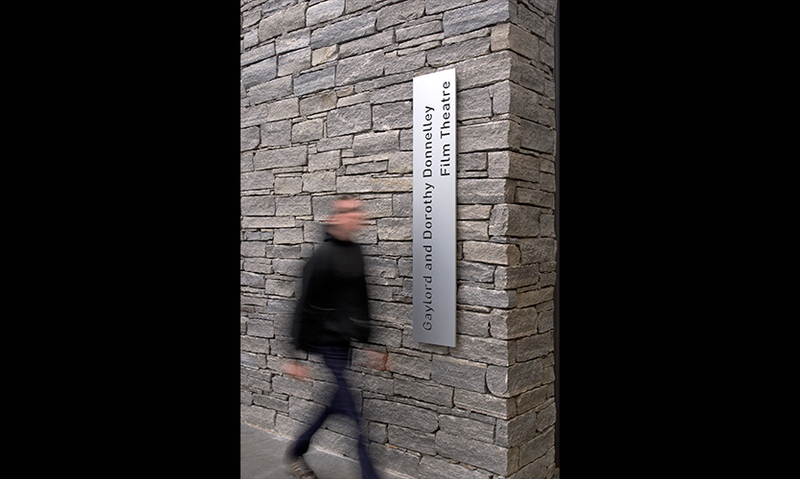 The scale of the signage elements and their placement onto and into the building works beautifully and makes the combined efforts of designer and architect work so well together. The materials are straightforward, but simply and skillfully handled. The combination of cut out and applied letters on one sign is quite successful."